In May 2008, Jordan Kyriakidis was given the opportunity to think big — really big. The physicist was about six years into his time as a professor at Dal and the university had just signed a $2-million agreement with Lockheed Martin. 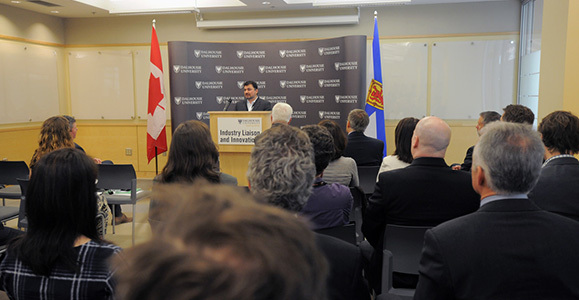 It wasn’t until much later that Dr. Kyriakidis would start to see the linkages between his newly funded work in the lab and the bleeding-edge technology the global aerospace and defence giant was creating. But the money gave him and his research associates at the time just the ticket they needed to explore some of the major theoretical questions underpinning the field of quantum physics. That is to say, it allowed Dr. Kyriakidis to indulge in what he calls his “pie-in-the-sky” ideas. As he gradually got to know more about the kinds of problems Lockheed was facing and the new technologies the company was developing, Dr. Kyriakidis started seeing important parallels between the two worlds. “I realized that a lot of the complexity in these engineering systems — especially integration problems where everything is connected to everything else — is very similar in nature to a physics problem we had been researching,” he says. 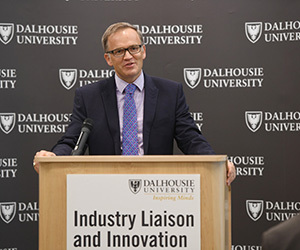 of Dal's Industry Liaison and Innovation office) and others for another gathering on campus — this time to acknowledge the fruits of the partnership. In particular, they were celebrating the success thus far of QRA Corp, the startup company Dr. Kyriakidis formed and became CEO and president of in 2013. 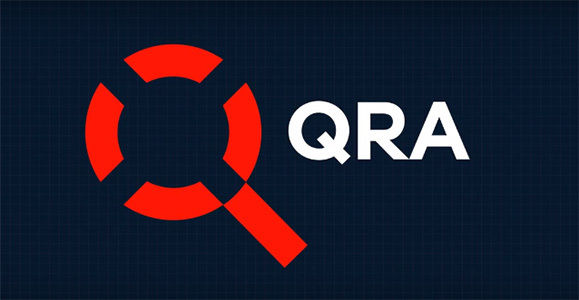 QRA was established to translate the research being done in his lab into advanced software tools capable of detecting flaws in the early design phase of some of the most complex engineering systems in the world such as jet planes, self-driving cars and power plants. While some researchers aim to strike licensing deals with their industry sponsors, Dr. Kyriakidis decided to take his penchant for thinking big in the lab into the world of running a business — a move encouraged by Dr. Allen, himself a serial entrepreneur. Feedback from a team of Lockheed aerospace engineers on the commercial viability of the enterprise further cemented his decision. Now, three short years after launching with the help of software industry veteran Dean Tsaltas, QRA’s chief technology officer, the firm is well on its way to becoming a high-growth company. Dr. Kyriakidis says the top 10 aerospace and defence companies in the world spend nearly $90 billion a year on testing complex systems. And that’s just one of the many industries where QRA’s products could potentially help companies save billions. Imagine, he says, an auto company that has to recall thousands of vehicles because a software malfunction causes the throttle to get stuck, or a glitch in the software powering a car’s rear-facing camera prevents it from working when a certain number of other features are activated at the same time. The flagship product Dr. Kyriakidis is describing, QVtrace, has been in use by Lockheed for more than a year, and QRA has been busy building up a stable of new customers around the world. Just last week, the startup launched a public beta version of QVscribe, a second software tool that enables engineers to boost confidence in complex systems projects by strengthening specifications in early development documents. Dr. Florizone, one of four speakers at Wednesday’s event in the Life Sciences Research Centre, said QRA is a great example of the power of industry partnerships in fostering new ways to tackle global problems. It also shows how the university can act as a catalyst for economic development. “It’s through those kinds of partnerships that we can translate our research into innovation, taking what happens in the lab and in the field and building it into new companies and new products and services that advance our standard of living and benefit our communities,” he added. Comments from Lockheed's Ned Allen at the event left little doubt of Lockheed’s continued relationship to QRA in the years ahead. “The problem that Dr. Kyriakidis is dealing with in eliminating errors in the software-control systems of cyber-physical systems is the single-most important problem in engineering in the 21st century,” he said, thanking Dr. Kyriakidis for working with him all these years. In his own comments Wednesday, Dr. Kyriakidis emphasized just how important financial and mentoring support from Innovacorp, ACOA, and others (in addition to Lockheed) has been in bringing his company to this stage. QRA has doubled in size each year since launching and now employs 16 people out of its offices on Quinpool Road in Halifax, more than half of them Dal graduates. Dr. Kyriakidis has also been able to lure top talent from across Canada and the world to help him grow the business, including Alex McCallum, a transport from the red-hot startup scene in Waterloo, Ont., who now leads business development, global sales and other files as chief operating officer. If probing the theoretical parameters of quantum physics was Dr. Kyriakidis’s driving motivation in those early days of the Lockheed partnership, now it’s exploring the limits of what’s possible in building a successful business. “Technology companies rarely fail because of the technology,” he said. “Technology companies fail like any company because they run out of money. But they run out of money because they fail to build the business around the technology. That’s critical. Building our business around our technology was the next phase of our evolution.